If you are seeking for tips and tricks on decorating a small bedroom, get ready to be highly impressed with some outstanding ideas. We have with us some fantastic ideas that will blow your mind away. If your bedroom does not have adequate natural light, the proper color palette or even smart storage, it’ll feel uncomfortable, cramped and ugly. 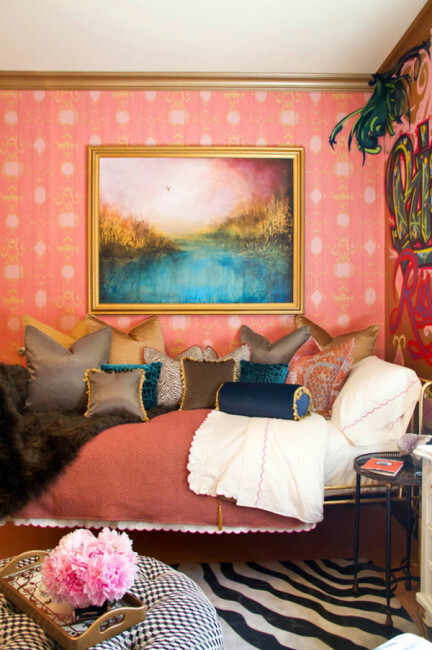 The following 50 ideas will help you transform your tiny bedroom into a cozy and beautiful area for your guests. 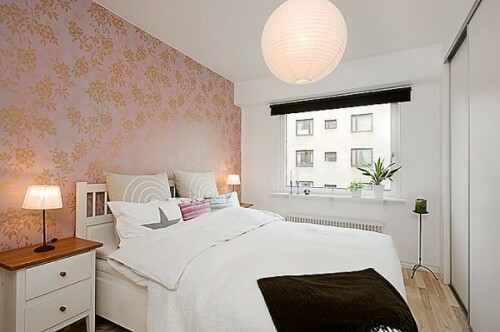 Here are some stunning ideas which you may implement to your small bedroom. 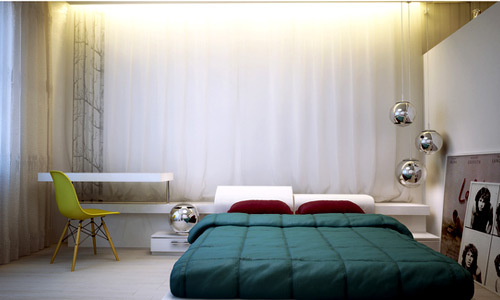 Instead of keeping a lamp on the table beside your bed, try out ceiling or wall-mounted pendants. This results in a clearer area around the bed and makes it less crowded. When there is a scarcity of space, having storage in the most unusual places-for example, between the studs-can be very useful, which has been demonstrated here by John Lum, an architect from San Francisco. 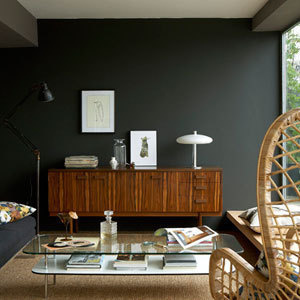 Dark colors in a small room makes your space look cramped. However, if you have a penchant for dark colors, you can use them in accessories, such as area rugs, throw pillows, bed linen etc. The armoires and dressers have to be in accordance with the size of your room. The size of your bed, table lamps and other decorations have to be proportionate with the size of your room or else the space will look like a cave. Get a floating shelf installed to enhance bedside square footage. It’s great for those who don’t want to rearrange furniture quite often. 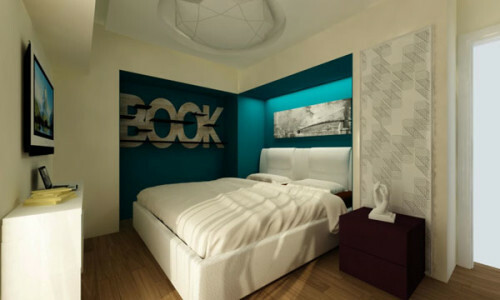 The bedroom here is separated from the house just by a half-wall which also acts as the headboard. It’s ideal for those who don’t require much privacy. 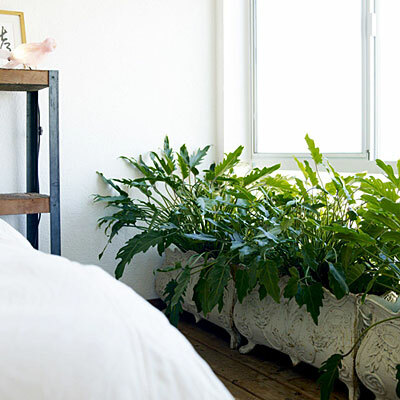 Potted plants in your tiny bedroom can have two uses-gives you some amount of privacy, especially from your neighbours and act as natural air filters. 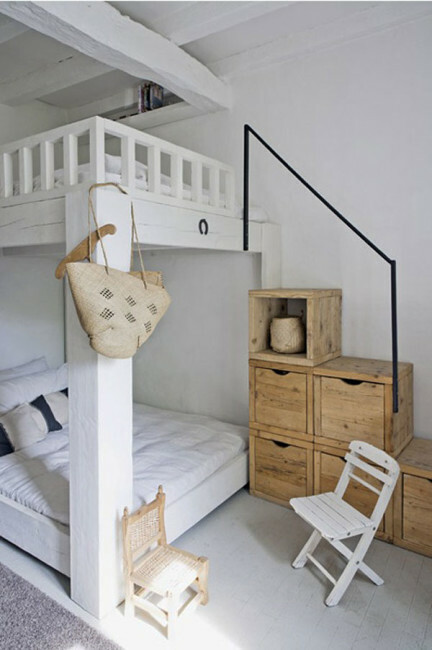 Keeping your linens and walls white can make your small space appear airier and bigger. Get rid of all that clutter. Use your restricted space artfully with such shelves. 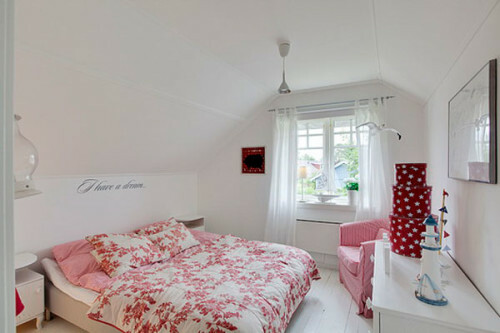 Trundled beds are great for older kids and allow the maximization of a small space. 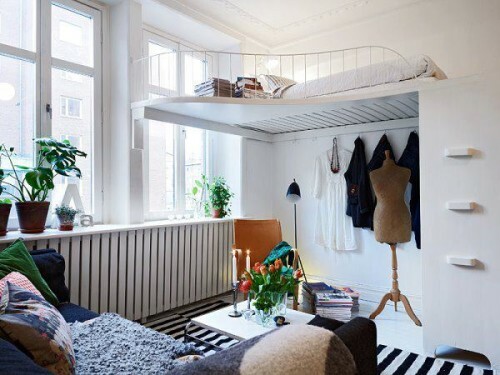 Having a lofted bed in your tiny room creates extra storage space underneath. Placing your furniture strategically against the wall can open up space and the room looks larger. 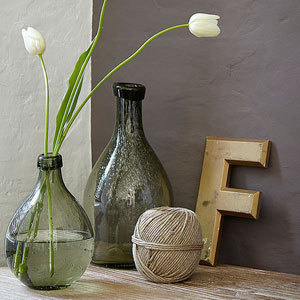 Instead of using multiple smaller pieces, decorate your room with several larger ones. 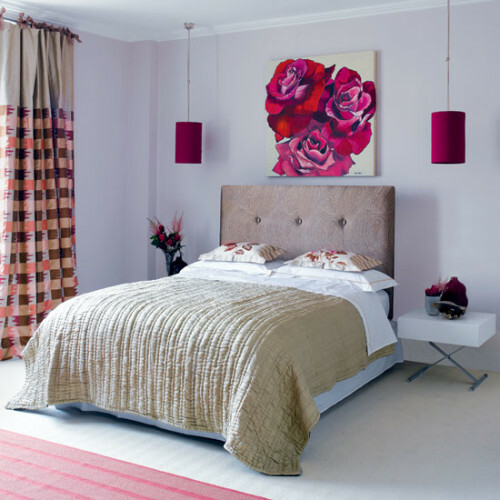 Don’t crowd the bedside table area with oversize shades and bulky lamps. Instead, install pendant lighting or wall sconces. Get a daybed which will make your bedroom seem more like a sitting area while still being cozy. 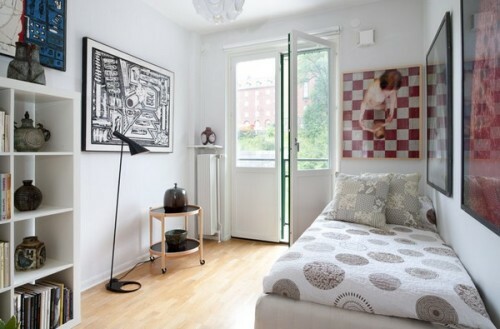 Let in natural light and place your bed right next to the window. Also, try to get a see-through headboard. 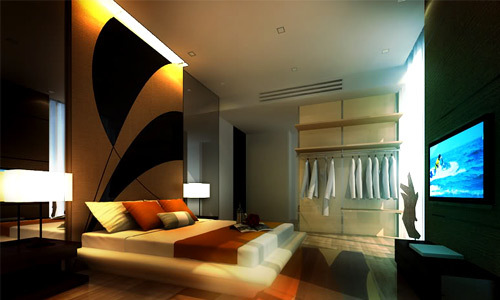 Try to give your room sophistication and depth. 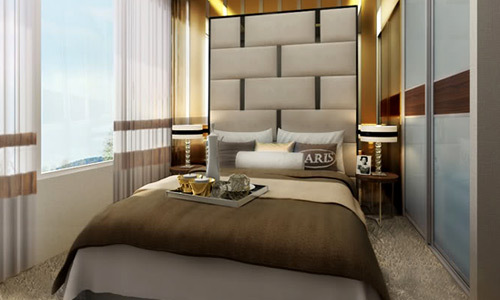 In this image, the round mirror, curtains, flooring, bedding and headboard all add to the graciousness of the room. 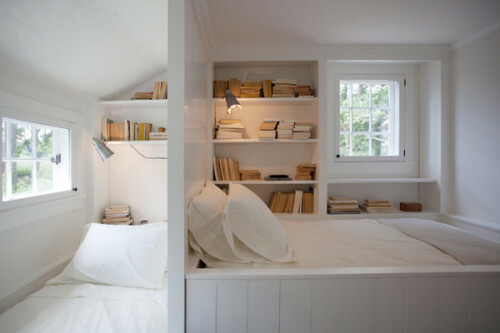 You can transform your tiny bedroom into a fantastic and adorable space. Try to hand art on wallpaper-only be thoughtful about the size and type. If you want to add some amount of oomph factor to your small bedroom, you could use a single well-designed wallpaper just behind your bed. It’ll automatically spice up your bedroom. 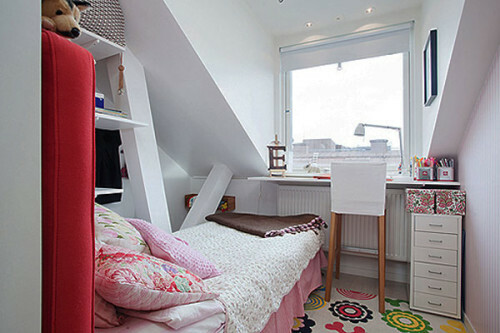 If you have built-ins in your room, take them all the way up to the ceiling. This will make the ceiling appear higher. Using nightstand having drawers can shield anything. You can keep your books, photo albums etc in the drawers. 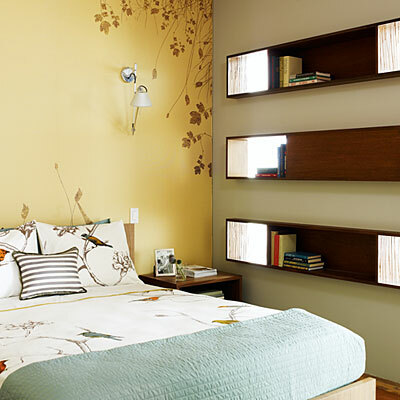 Having a wall shelf beside your bed can give a tiny room an extra floor space and more open feeling. 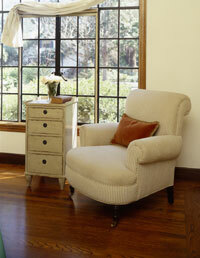 Irrespective of the size of the bedroom, having a corner window is a great way to make a tiny room look much larger. 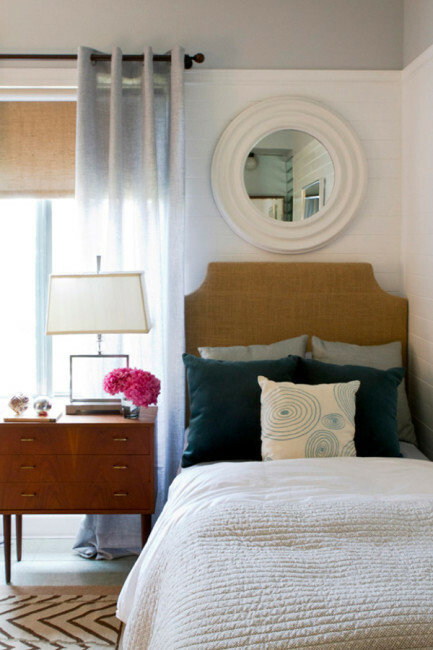 Use a mirror to double your bedroom’s square footage visually. This is an easy trick which has been used for ages. Using contrasting colors will break up a tiny space and make it look larger. 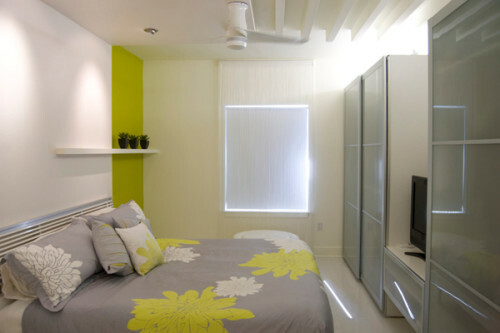 Using airy fabrics and light in plain colors will increase the size of the room visually. Never let vertical space in your room be wasted. You can possibly display art on this space. Less in reality is more. Do not display everything you love and own. Furniture with dual use can create more space by enhancing the function of each space. Create an arrangement of furniture that’s unique. Break all the rules and find your own creative style. Using the same hue to paint both the walls and ceiling can eliminate the shadow lines. Choose the best theme that opens up space. Having a bed with a foot board will deprive you of utilizing the space under it. However, you can use a headboard. 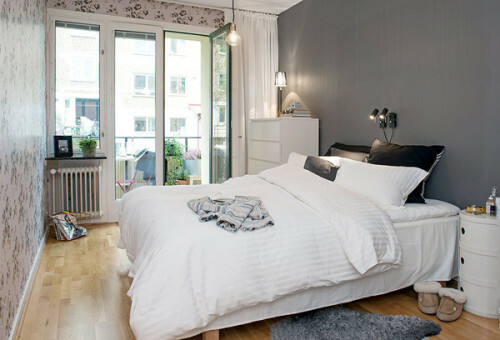 Plain colored fabrics for your curtain and bed linen will work well for small rooms. Mounting lights to the wall will open up more free space. 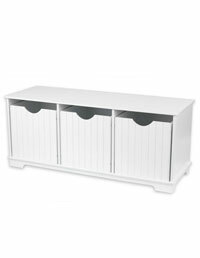 Keep your things hidden as this will make your room less crowded. Space-saving furniture will make your room less crowded. Instead of cluttering your place with small pieces, it’s better to use large furniture that is proportionate to the size of your room. Your space can be expanded by painting in different shades. 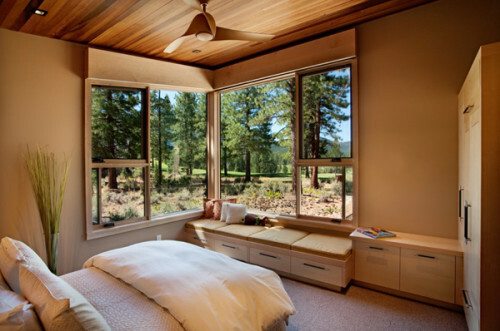 Your windows need to be left uncovered as this will divert people’s eyes to the landscape outside. Use long curtains that cascade down to the floor. 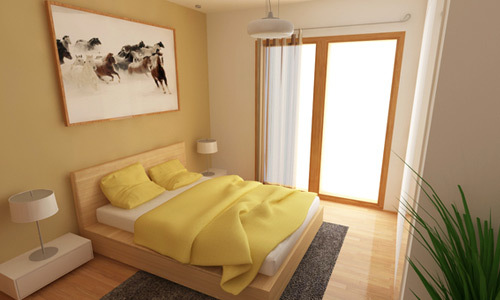 You can also use a strong shade as it will give a cozy feel to the room. 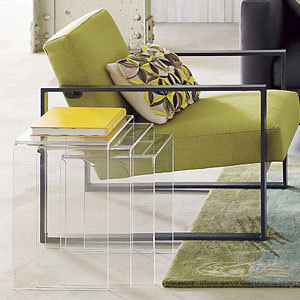 Using furniture withe legs will prevent your small room from overcrowding. An intricate design like a beautiful pattern might make your room feel relaxed and comfortable. Trick the eye and make the room appear empty and leave some amount of breathing space. Pick a unified color palette as excessive patterns and color will make your room appear busy. Keep your floor simple and use plain carpets. Choose pieces that can be moved easily. 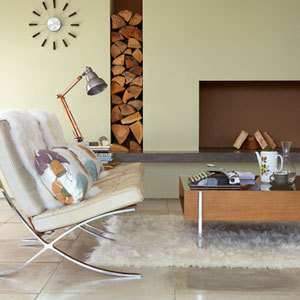 Finally, giving a modern look can add charm and grace to the room thereby adding more value to it. Not sure if this is about organizing or “adding value.” Several of these are basically just “use shelves” but rephrased. Also some are just non functional design tips. 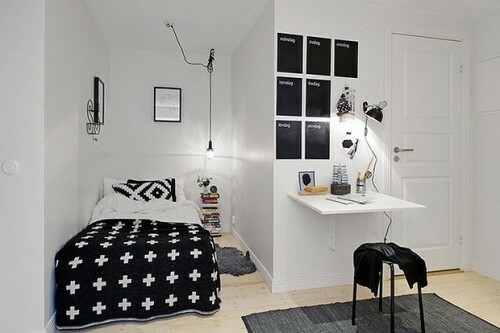 Yeah, using white on walls might make it appear there is more space, but that doesn’t actually help with organizing. Also Color palettes and modernization has little to do with organization beyond psychological measures. A list of 50 items isn’t helpful if half are unrelated.